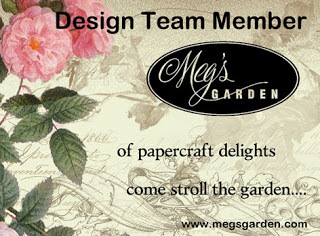 I am sharing my Bizzy Bec's design team post with you today. 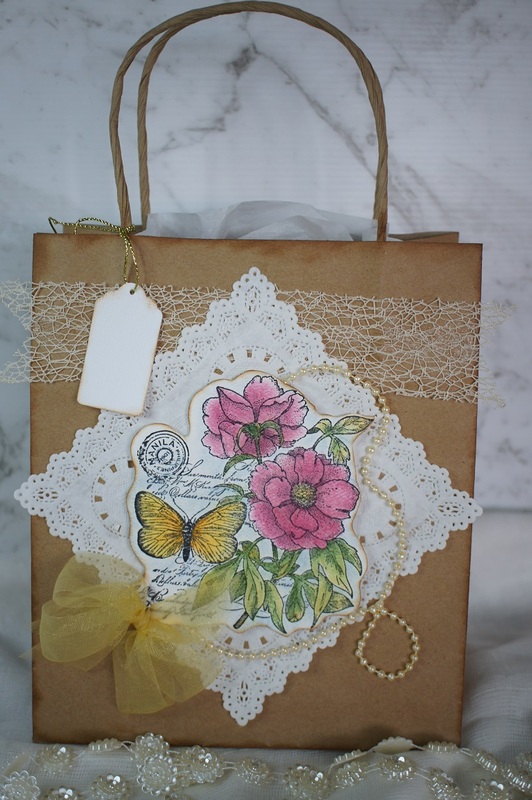 I have decorated a plain gift bag with a stamped image, an organza bow, pearls, a mesh trim, a small die cut tag & a paper doily. I have colored my image with Prisma color pencils. 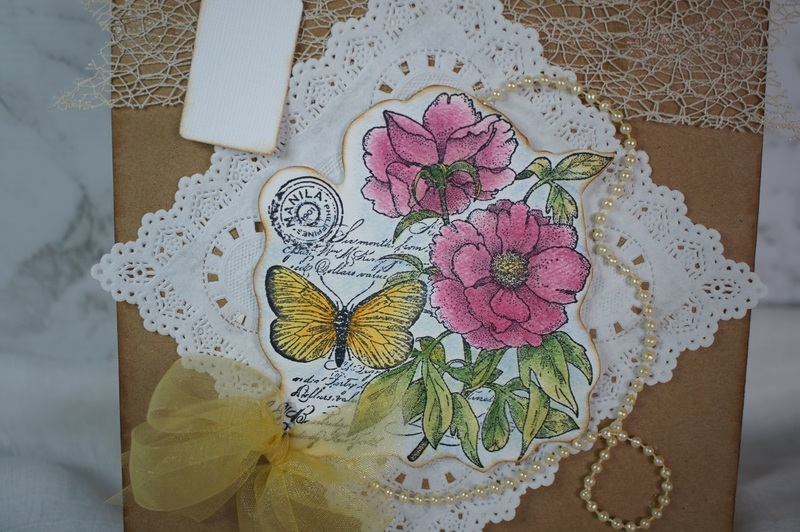 Check out Bizzy Bec's online store for all of your crafty goodies & the products that I have used above.